Are you about to sail on a Norwegian cruise? Then you’re going to want to download the Cruise Norwegian app. The program provides all sorts of helpful information to plan and enjoy your cruise — all from the convenience of your phone. We recently reviewed the app on a cruise, putting it through the paces to see exactly how you can use it and what all you can do with the program on the ship (and even before you board). If you are about to take a Norwegian cruise, here’s a full review of all the things you should know about the app for your trip. Since first being introduced, the app has continued to roll out among the ships in Norwegian’s fleet. The cruise line recently announced that the app is now available across all ships. So whether you are sailing on the Norwegian Bliss (the line’s newest ship) or Norwegian Spirit (it’s oldest), the app will be available to help plan and reference during your cruise. Best of all, the app is free. One of the biggest hangups with some apps is that they might only be available for Android or the iPhone. In the case of the Norwegian app, it’s available for both devices. If you are running Android on your phone, it requires version 4.1 or greater. Apple devices need to have iOS of 9.0 or higher. Once you’ve downloaded and logged into the app, then you can start to get a feel of how useful it is. From the program you can find information on dining, entertainment and shore excursions. Find a restaurant you like? You can create a reservation right from the app. Same thing with shore excursions. Instead of having to book with the staff the ship, you can read more about each adventure offered, including prices. If you find the one you want, you can book it right through your phone; no waiting in line required. 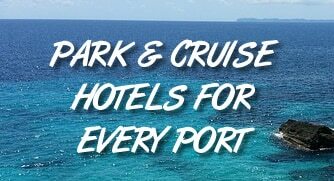 Checking in online before your cruise can save you lots of time. And while you can do it from your computer, the app also lets you check-in beforehand. You can get your boarding assignment, know when to arrive at the pier and even access your “E-docs” for boarding right from the phone — similar to boarding a plane. One of the most convenient features you’ll find is that you can track your onboard spending through the app. Whether it’s buying a drink, a massage, a meal, or a souvenir, anything you spend on the ship will be logged to your onboard account. Right from the app — anywhere on the ship — you can see exactly how much you’ve spent. It’s nice to be able to budget on your vacation and also not be surprised by an unexpected bill amount at the end of the cruise. Not sure what’s happening on the ship right now? That’s not a problem if you have the Cruise Norwegian app. For each day on the ship there is a full schedule with everything happening on the ship. You can quickly browse through and see exactly when and where an event is taking place. You can also mark them with the “heart” icon to make it easy to know exactly what you want to attend. While the app is free, there is one section of the program that costs extra — calls and messaging. As an added feature, you can call or message other people on the ship using the app, for $9.95 per phone. Note that this doesn’t allow you to call or message home. So if you wanted to use the app to call and check on things back on land, that wouldn’t be available. It’s only for contacting people on the ship. If you’ve never taken a cruise, you should know that it takes at least a day or two until you can get your bearings on where things are on the ship. With so many decks and few walkways that go the entire length of the ship, it can be confusing to know exactly how to get from Point A to Point B. That’s why the deck plans included on the Norwegian app are so helpful. You can pull up every deck and see exactly what’s there. It’s an easy way to never get lost again. There’s little argument that wi-fi on a Norwegian cruise is expensive. It can cost up to $35 per day. The good news is that you don’t need to pay for wi-fi in order to use the app. While the app connects to the ship’s internet system, it’s free to use. The only part of the program that costs money is the call and messaging feature. Not sure where to eat on the ship? The app has you covered. With more than a dozen restaurants on many ships… not including bars… it can be overwhelming. You’ll find profiles of each within the app, along with information about their costs, location, and more. If you’re new to cruising, then there are likely to be a number of questions about your cruise. Everything from how to connect to the wi-fi to what time dinner is on the ship. The Cruise Norwegian app has a full list of “Help” topics like these with full answers. While it may not be the most exciting thing, it’s super helpful when you have a question and know exactly where to find the answer. Have more questions about the Cruise Norwegian app? Let us know in the comments below and we’ll do our best to answer them.